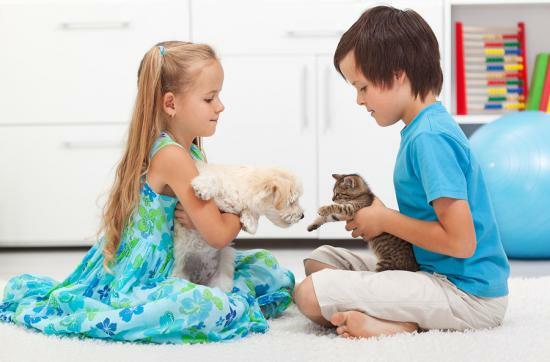 The Radford Animal Hospital Wellness Programs were developed to give your new puppy or kitten state of the art health care at significant savings while being able to budget the cost, and take advantage of several complimentary services and discounts. Their complete series of vaccinations, including Feline Leukemia/ Feline Immunodeficiency Virus testing for cats. Stool examination for intestinal parasites. Dogs receive monthly treatments of Sentinel Spectrum, which controls not only heartworms, but also roundworms, hookworms, whipworms, and tapeworms. Cats receive an injection of Program which controls fleas for six months! Pre-Anesthetic blood testing to assess the liver, kidneys, clotting factors, and other hidden illnesses which can create higher risks before surgery. Post-surgical pain medication to ease your pet’s discomfort in the hospital and when it goes home. Microchip placement. Microchips are small implants that are placed under the skin and serve as permanent identification should your pet become lost or stolen. Almost all animal shelters, humane societies, and veterinary hospitals have scanners that identify microchips. This is a great way to help keep your pet safe!! All of these services are discounted a full 10% compared to purchasing them individually. FREE nail trims as often as needed, and comprehensive handouts on puppy and kitten behavior. Please note: The first of five (5) non-refundable payments is due on the initial visit. Emergency examinations, hospitalization, laboratory testing, and other medications are excluded from these programs. We hope you consider our wellness programs. They make giving your pet the very best care easier and more affordable. Please let our Receptionists, Technicians, or Doctors know if you have any questions. Thank you for entrusting us with your pet’s care!